Located in Palm Cove, Jambala Beach House provides accommodations with a private pool. Guests staying at this vacation home can use a fully equipped kitchen. Including 3 bedrooms and 2 bathrooms with a bath and a shower, this vacation home features a flat-screen TV and DVD player. 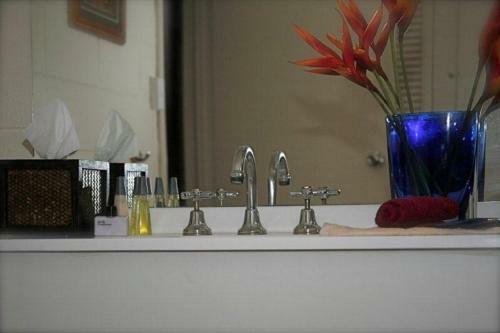 Cairns is 16 miles from Jambala Beach House. 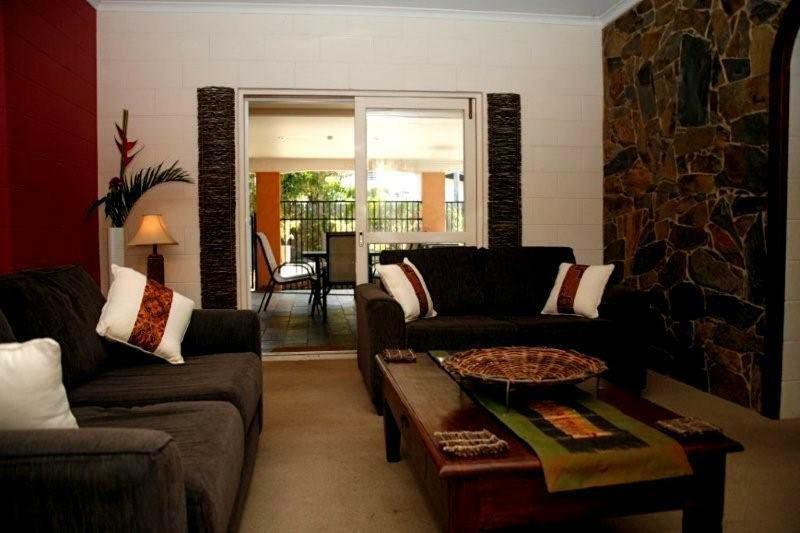 The nearest airport is Cairns Airport, 16 miles from the property. 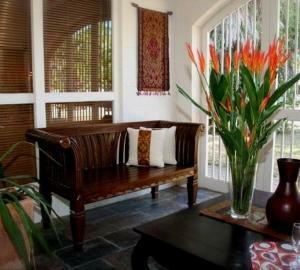 When would you like to stay at Jambala Beach House? 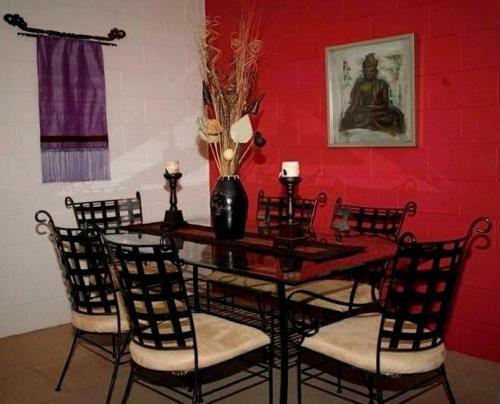 This holiday home has a private pool, DVD player and oven. Jambala Beach House is located in Lambus Street, Palm Cove. 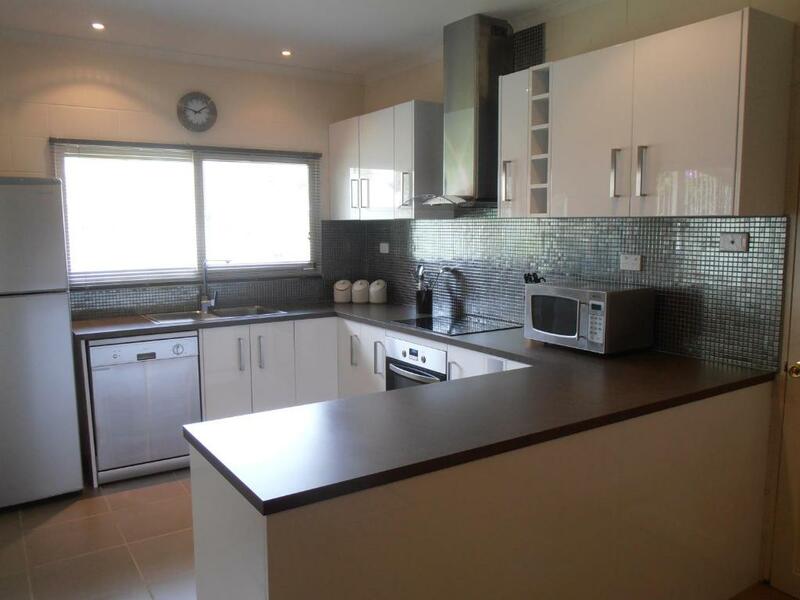 A quiet residential close with close proximity to the beach (only 300m). 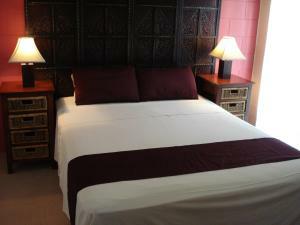 We are an owner operated business with over 30 years experience in the hospitality and tourism industry. 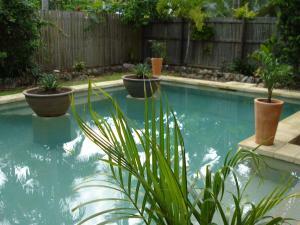 Our beach houses in Palm Cove are all privately owned and self-managed. We strive to provide excellent value for money to all our holiday guests, offering exceptional service and an outstanding product. House Rules Jambala Beach House takes special requests – add in the next step! Jambala Beach House accepts these cards and reserves the right to temporarily hold an amount prior to arrival. We need at least 5 reviews before we can calculate a review score. If you book and review your stay, you can help Jambala Beach House meet this goal. 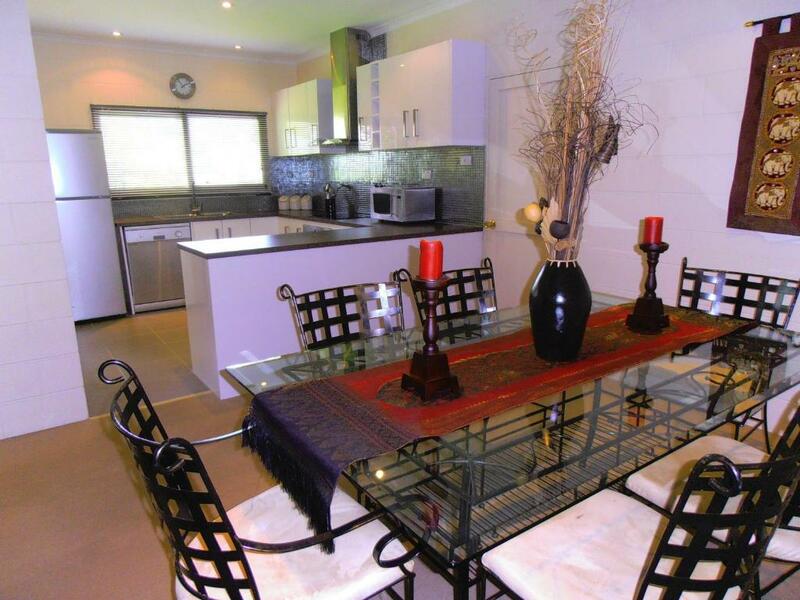 It would be good to have an air conditioning unit fitted in the living space. The stand alone fans and ceiling fans were not sufficient to cool the environment and move the air. The property had a damp, musty smell on arrival. It took 2 days for the smell to dissipate. This may have been because it was the first rental of the season and AC would have alleviated or prevented this issue. The space, the pool, the garden, majority of equipment (including towels), the location and the comfortable beds and seating.